Dancers! Assume the Position is a critical must read for all who desire God's will to be accomplished in and through their dance. 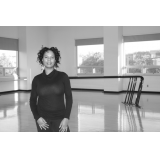 A revelation on the dancer's ministry, Hill delves into what dance ministry is, what it is not, and how it impacts and contributes to the body of Christ. This foundational book should be read and re-read by all who have accepted the call to ministry through movement. Join the many others who are being rooted, refreshed, and realigned by this pivotal teaching. Dancers! Assume the Position is a valuable resource for personal study and ministry development, as reference material for pastors and teachers, and as required reading to unite dance ministry members in purpose. I began ministering through dance at the age of 15, after a tremendous encounter with God while watching dance ministry for the first time. A baby in my walk with God, I asked what was happening with these people and this dance? What happened to me? I had never witnessed or experienced the dance elicit such responses. I thought God would give me a quick, straightforward answer. Instead, He swept me up into a season of instruction that lasted over three years. In Dancers! Assume the Position, I share what He taught me about the dance in ministry. This revelation both changed and revealed the course of my life. · THANK YOU LORD!!! I must say – when God answers a prayer, He truly comes through. I am so excited about this book I could scream. The spirit-filled writing, organization of ideas, obvious consideration in choice of words are just some of the reasons this book has made it to my “best of the best” collection! · A splendid arrangement of revelation knowledge! · I have this book & have read it many times. I refer to it constantly. It has answered every question I ever had regarding dance, & how to let God lead in the Choreography and the garment. I highly recommend this book to anyone. It is easy reading & not confusing. This is an excellent resource for the beginner in the Worship Art of Dance. Sue, TX. · This book has been needed for many years in the dance ministry community. I encourage everyone who has a heart to worship God to read it. It will take you to another level. · The information that you presented was very valuable and useful. It gave me a fresh perspective and new revelation on some things that I was already doing as a dance minister. I am a dance ministry leader as well as a solo dance minister, and there have been times that I have become so wrapped up in "getting ready to minister during our designated service", that I have let go of the little things that I know I should do to prepare. This webinar stirred my spirit and reminded me to get back to those things that I have let go of. I think this is something that all ministers of dance can benefit from. Marlita, thank you for sowing into my life!